Shop > Blog > State of overtraining – What to do with overwork? The state of overtraining can very quickly affect sports results – they will get worse and worse. The state of health, which manifests itself in the form of chronic fatigue, arising from excessive loads in training – is overtraining an athlete. This condition will very quickly affect sports results – they will become worse and worse. In other words, it is a complete imbalance between the possibilities and loads, training and restoring the body, stress and a defensive reaction to it. Experts are engaged in this problem not the first year. They studied it thoroughly, and then concluded that signs of overtraining can be characterized in three phases. constant occupations cause unpleasant feeling. This phase very few people from sports seriously, makes you think and draw the right conclusions. On the contrary, many try to cheer themselves up, remembering the words of the classic F. Nietzsche: “What does not kill me, then makes me stronger.” Yes, indeed, until the critical state so far (and, thank God!) Is far away. But at the same time, few people know that already at the first stage an imbalance begins between the work of the cardiovascular system and the given exercise rate. The general condition remains normal. A person is keen, seeks to prove himself, to show the best result, not even knowing that the body should be allowed to rest. If we talk about chronic fatigue of the first degree, then it occurs in those people who are already accustomed to regular physical exertion. Beginning “athletes” like this does not “threaten” – their adaptation period resembles the state of an athlete with experience, but this is a completely different problem. It manifests itself in violation of the work of some organs and systems. Athletes are starting to worry – complaining that something inexplicable has happened to them lately. Instead of the expected victories to which everyone is used, the results are reduced. Reduced results – reduces faith in their strength. The first bell, which turns into a warning bell, is a violation of the rhythm of the cardiovascular system. Then the respiratory system begins to sing with her in unison. The lung capacity decreases, digestion slows down. On the disorder of the musculoskeletal system also can not be silent. Unwanted overtraining of the muscles leads to a decrease in coordination of movement, sharp pain. It is not difficult to guess that infectious diseases “do not sleep” – they are looking for a fertile soil and find it in a weakened body. painful sensations in the joints, associated with muscle weakness, decreased elasticity of the ligaments. You do not need to be a doctor to understand that overtraining, in other words, violence against your own body, is very harmful. When this condition continues to occur, the central nervous system begins to be felt, circulatory problems also speak for themselves. A vicious circle begins: an athlete increases workouts, works more, longer, and the expected result is still not there. 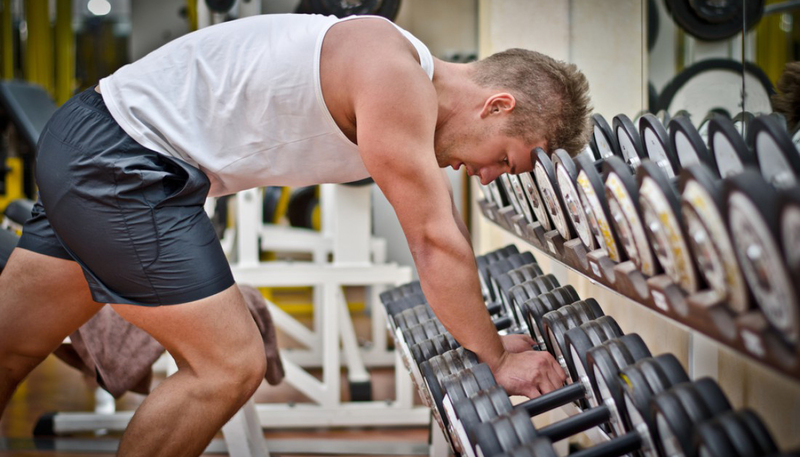 This phase, characterized as a state of overtraining just does not pass. It requires the intervention of specialists, the selection of special measures, finally, it is necessary to give the body a break. Adjust nutrition, make quality sleep, organize a training process, alternating with a good rest. This problem with the three unknowns is rather complicated, but completely solvable. First, you should stop training for a period in order to develop the necessary rescue plan of action. Yet overwork athlete can be avoided. It is necessary to learn to understand what the body is saying and begin to plan the cycle of training and rest in a professional manner. It is necessary to choose the magnitude of the load for each particular workout. It is advisable to conduct sports under the guidance of a competent coach with experience. He will form a program of sports activities, excluding torture. not to force events, not to try on the syndrome of an excellent student who, by all means, seeks to circumvent the rest. Do not fall into the hands of such a sports disease as overtraining is not so hard if you strive for it. One has only to constantly monitor their condition and draw the appropriate conclusions. And if overtraining (or one of the initial stages of this disease – overwork, overstrain), you showed up, do not get excited and do not despair. From any state there is a way out, you only need to know how to get into it. But then you chose sport to be able to resist, to be able to win, to be able to get out where it seems impossible to do. So go ahead! You can – you will succeed!